I’m in SF at the moment, on my way home from a beautiful weekend in Morgantown, West Virginia, and Pittsburgh, PA, but I couldn’t wait to share with you an amazing joy among our friends in Kenya, and some new people in Pokot, hungry for food and for God. This is an emergency need, and if you could help us, we would be most grateful. A few weeks ago, I wrote here about Forkland School, in a poor section of Bungoma, Kenya. It not only educates children who would have no other opportunity, but it also helps care for the impoverished community around it. We support that school at $1000 per month. On behalf of Forkland community and school, God has brought a great transformation. People are now getting clean water, and this water has become a very big blessings to the entire region. People can walk in from a far distance and draw water. 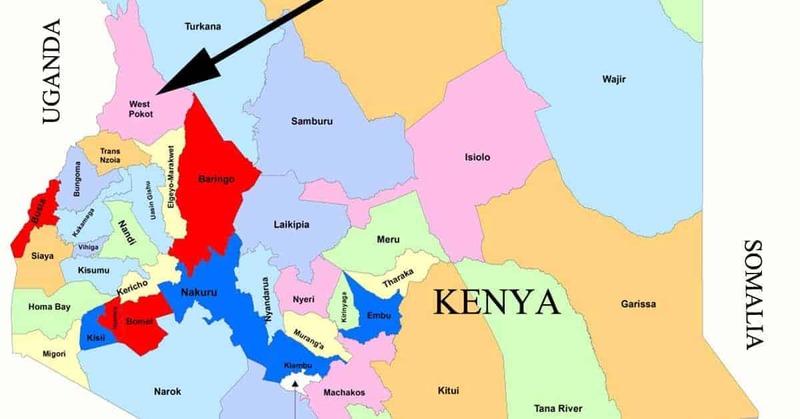 The Kenya Bureau of Standard has recommended that this water in future be used to produce mineral water, because the company drilled deep and found pure water at 340 feet deep. The flow is very high and can produce 10,000 liters per hour. This is the great blessing. May our Father in heaven be glorified for this. We send our gratitude to those who stood with us in giving their resources to help this community and the school. Since the community started drinking clean water there is no more complaints of typhoid and other diseases. Our children are safe. We rejoice, too. 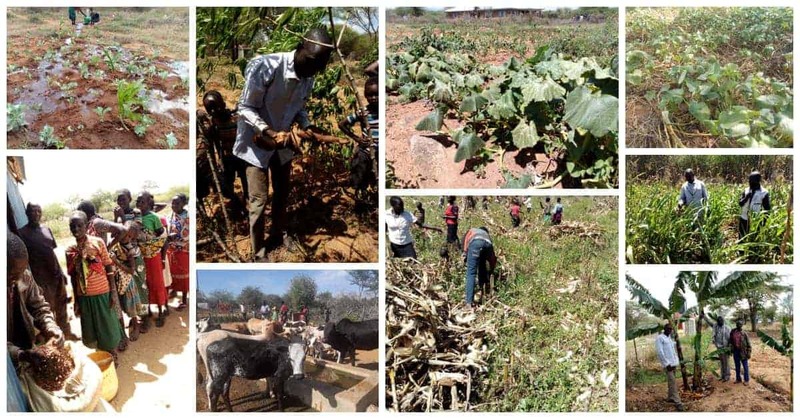 Everything we do in Kenya, we look to make self-sustaining instead of breeding further dependency. The people there are creative and energetic, wanting to be part of the solution to their own needs; they just lack the resources to do so. We haven’t known how the school could become self-sustaining since it is an outreach to that community. Now they are going to be able to bottle this water and sell it as some of the purest water in Kenya, sanctioned by the government and it will provide resources not only for Forkland School but also for other needs in the area. 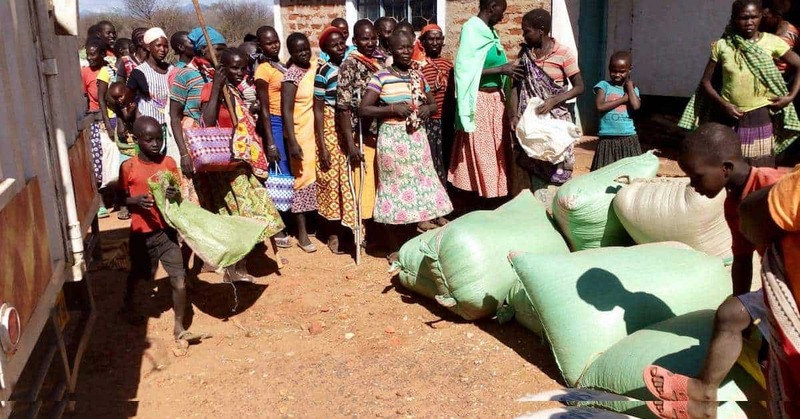 As soon as that need was met, however, another need has emerged in North Pokot. I’ll let them tell you about it. Right now in Kenya, some of the region like Turkana, extreme North Pokot, and other area are suffering from drought and hunger, pray for us since many of the families are starving. Thank you for what you have send each month, but the problem we are seeing here has gotten worse. While we were there distributing food, a lot of people came from a far village. Every place, people were waiting for the food in bad condition. We decided to serve those who are totally affected especially the old aged, but people came in multitude where we could not able to control and we had to leave brother Michael and the team there to calm the remaining people who did not get the food. The committee as requested if it is possible to get 350 bags of maize and 100 bags of beans to serve them for a while since they have to walk a long distance, and they speak in their language ” that God is full of mercy and compassion” to them. Some they have taken about three days and even a week just drinking water and boiling the roots to have something in their stomachs. In this area, the World Food Programme and some NGOs have not yet reached them. They are just now heading to Baringo and Turkana. If possible, they can get food and return to their home to feed their children who are starving. The cost of food is ksh 1,812,500 Kenya shillings (about $18,000 U.S.) We are praying for God’s provision. The need here is too much and you have done a lot till we feel sorry to inform you. 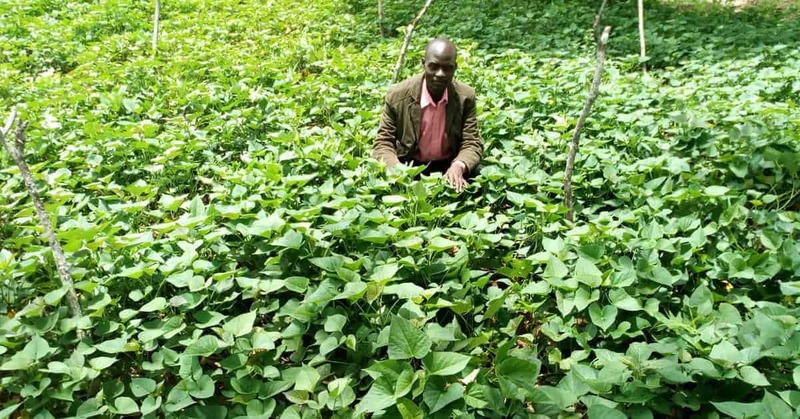 Brother Michael is still in North Pokot and it seems the need there is overwhelming since yesterday he talked in the night that the villagers are in dilemma of what to do. According to him and the committee, the situation is growing worse since the villagers told them that they can’t go without anything to feed their children. It is maddening to me that the rest of the world, including the Kenyan government, are ignoring the needs of these people. But people are dying today because they do not have any food. This is a different group of people from those we’ve already been helping in North Pokot. For whatever reason, God has allowed this need to fall on us, and we cannot turn away. The only place for these people to find food right now is from the generosity of people who listen to The God Journey and read these pages at Lifestream. Generosity is sometimes the only possibility to make up for inequity in a broken and self-centered world. I am asking those of you with any extra resource to help us, please. If you can and this need tugs at your heart, please help them. I have no idea yet if we’re going to initiate a new project here and support these villages further. I am hoping the UN or some other NGO will come along at some point. But as long as we have resources here, we are not going to let children or their parents die of hunger on the other side of the world. If there ever was a time you wanted to genuinely help poor people, without anyone else siphoning off money for administrative fees or other costs, this is it. All contributions are tax-deductible in the US. And as always, every dollar you send goes to the need in Kenya. We do not (nor do they) take out any administrative or money transfer fees. Please see our Donation Page at Lifestream. You can either donate with a credit card there, or you can mail a check to Lifestream Ministries • 1560 Newbury Rd Ste 1 • Newbury Park, CA 91320. Or if you prefer, we can take your donation over the phone at (805) 498-7774. Thank you on behalf of the people of Pokot for your gifts and prayers on their behalf. Thanks to so many of you who responded. I am overwhelmed by how many of you immediately got on the phone or the Internet to help feed these people. We still need more, however, so if you have some extra this month, we’d love to share it with some hungry people in North Pokot..
Wayne, you wrote, “Generosity is what makes up for inequity in the world.” This is powerful. I’m going to make it into a meme. Watch your inbox. BTW…The check is in the mail for Pokot. Thanks for letting us know.